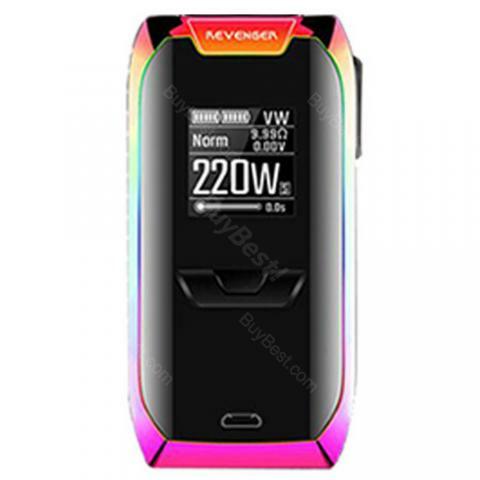 Vaporesso Revenger 220W is an ultra-compact box mod with innovative IML injection coating on aluminum alloy, which is very comfortable to hold and vape. The Revenger 220W adopts the advanced OMNI board 2.0 chipset, supporting maximum 200W output power, various working modes and 2.5A quick charge system. Available in various colors. Vaporesso Revenger is a stylish and powerful box mod with revolutionary features. The Revenger MOD adopts advanced OMNI board 2.0, providing various working modes of VW/CCW(Customized Curve of Wattage)/CCT(Customized Curve of Temperature)/VT/TCR/RTC/BYPASS, real time clock setting, 2.5A quick charge system and remaining charging time and so on. Powered by dual 18650 batteries, it supports maximum 200W output power. 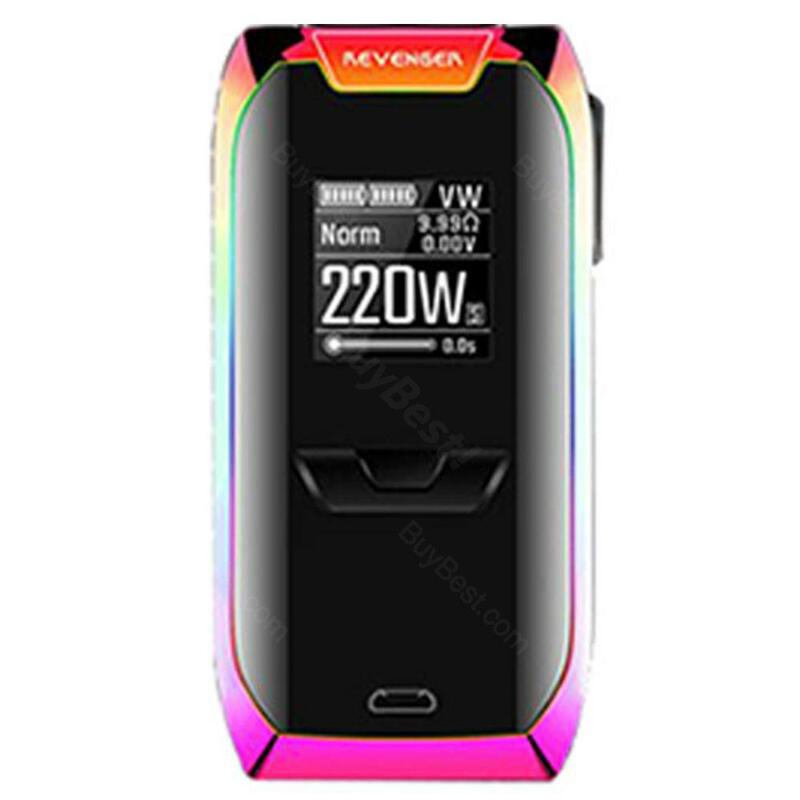 With the innovative in-mould labeling (IML) injection coating and aluminum alloy chassis, the Vaporesso Revenger 200W is very comfortable to hold and vape. • It doesn't come with 18650 lithium-battery. Arrived on time. In good condition. Overall, very good quality mod. Vape's excellent. If you are looking for buying a qualityvape, you are on the right track. I love everything g about it. Will recommend to anyone I know. Fast shipping at a great price. 100% awesome mod! Thank you buybest. The Vaporesso Revenger 220w kit has literally impressed me. This one works perfectly with great flavor. Revenger is amazing. Very light and compact with all the modes you could want.